Over the next few weeks, we'll be examining the merits—and relative lack of merits—of all 36 players on this year's Hall of Fame ballot for the purposes of better informing the electorate, i.e., you. All entries in the series can be found here. Who Should Be In The Baseball Hall Of Fame? Vote Now! Here it is—your chance to vote in the 2013 Baseball Hall of Fame elections! Some people were surprised that Mike Timlin even made it onto the 2014 Hall of Fame ballot. These people have him pegged as a long-lasting but forgettable middle reliever, pointing to his 19.2 career WAR, 1.283 WHIP, low strikeout rate, and regrettable facial hair. What these people don't understand—with all their numbers and opinions about facial hair—is the magic that is having Mike Timlin on your team. On October 24th, 1992, Mike Timlin entered the game for the Toronto Blue Jays. It was the bottom of the 11th, Jays up 4-3, runner on third, two outs. It was also Game 6 of the World Series, with Toronto up three games to two in a series closing in Atlanta. Otis Nixon bunted and Timlin fielded it, earning the save, his first World Series ring, and Toronto's first world championship. He'd win again the next year, bounce around a couple teams, win Boston its first ring in 86 years, and add another 2007. Four rings. *By "legit," I mean that the player actually participated in the World Series. Player Career Rings WS Teams HOF? That's five Hall of Famers, the second-greatest defensive center fielder of all time*, Johnny Hopp (who won two during World War II), and Mike Timlin, with Timlin the only dynasty-builder to never win with the Series-hogging Yankees or Cardinals. When Mike Timlin walks into a Cabelas the whole store wins the World Series, and you can kiss the rings, motherfuckers. 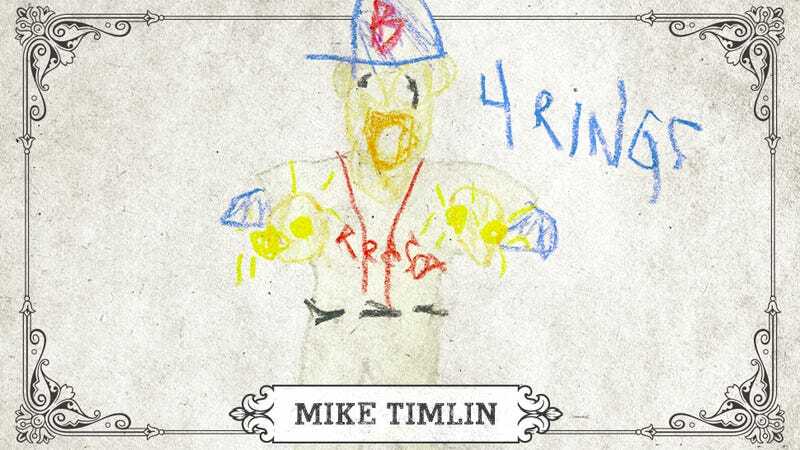 So vote Mike Timlin into the Hall of Fame. Or don't. You know who won't care? 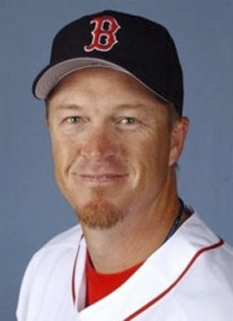 Mike Timlin, four time World Champion of Baseball, who's already won plenty, thank you very much.